Yesterday I posted a short video with a tunnel. that the coming out of the tunnel we will be free, happy and content. It’s not dark at all…. but still a place that takes us from one ‘reality’ to another. you don’t want to stay in that place forever. The goal is really to get out of there. In September 2011 I was in such a bright kind of tunnel. Eventually later that year I did find my purpose. My mission met my passion. 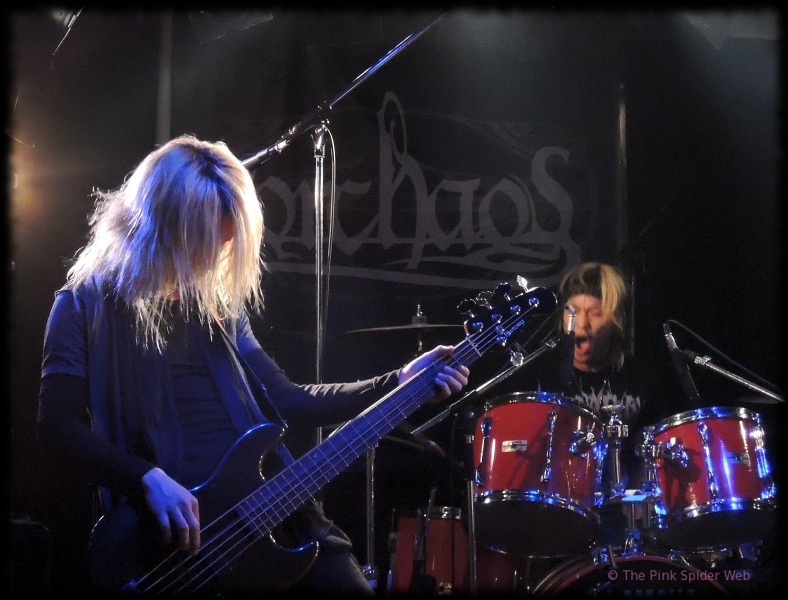 The music in Japan and the live scene. Somehow I was out of the bright tunnel and had found my path. And once out I met tons of amazing people! 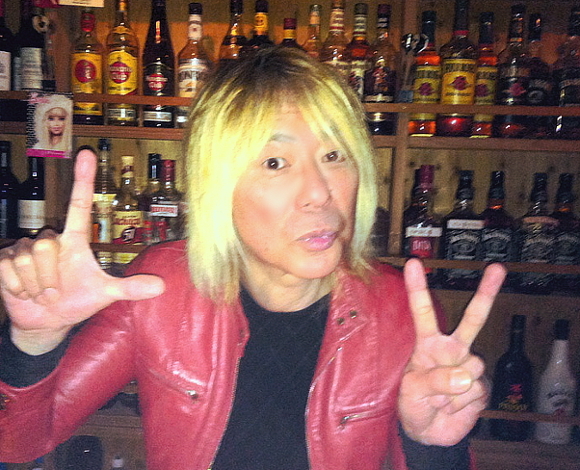 when we had drinks together at his bar Boogie Stock in Shin-Daita. 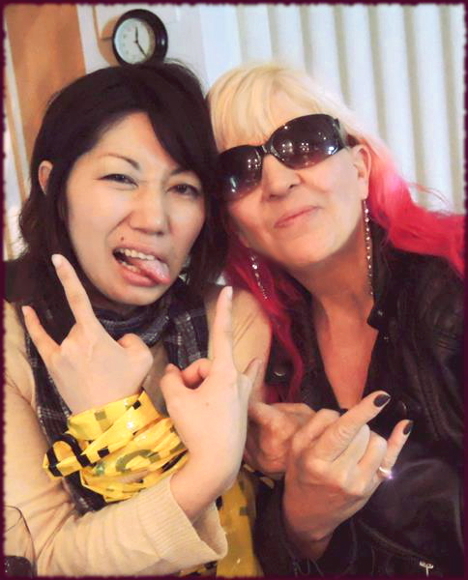 and got to know, and work with, many Japanese musicians up close. 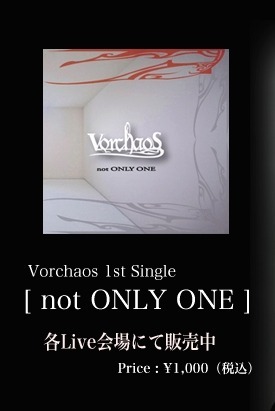 One such band was Vorchaos. how to make it in this new global world. I’m so happy they still play together and keep on going! and time went on .. I wasn’t in a tunnel. I was on a path! Out and about! I had direction and purpose. When you are on a path you don’t contemplate much. There isn’t the same feeling present, as there is when you are in a tunnel. You don’t search for the light at the end. With Derinjar at Chelsea Hotel about 2 years ago. And I sure enjoyed everything! Now I am back in a tunnel… but another kind of tunnel. This one is almost pitch black. Or it has been…. to think about what will be on the other side. I started listening to how other people thought I should act. Where I should put my time. How I should prioritize my time.. But now ….in the middle of the dark tunnel…. and Im back at a mental place where I am more in charge. but I know this much..
there is an end also to this tunnel! and I will no longer let anyone else write it. Wednesday night at the Live Station had a line up to my likings… I was familiar with 3 of the 4 bands who were going to be up this night. 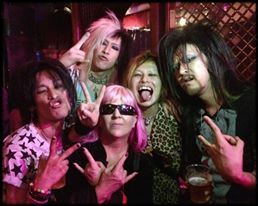 Vorchaos/ Vagu*Project / SUICIDE SQUAD/ DAZZLE! and here is my little clip of the first track of it …. Don’t you agree; this is som good fast metal music ?! Why did I like them, well primarily I think it was, as I started this blog writing, their instrumental skill. Each one of them definitely has advanced skills handling their instrument including the vocalist [ definitely consider the voice being an instrument]. Second, the speed impressed me, to maintain the quality with this kind of speed is difficult, hence professional. 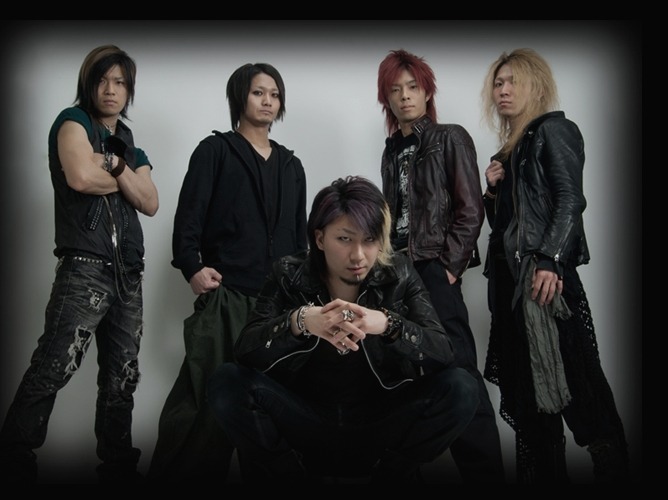 Also they came across as a unity, a band which acted as a team, both on and OFF stage…. and I like that! 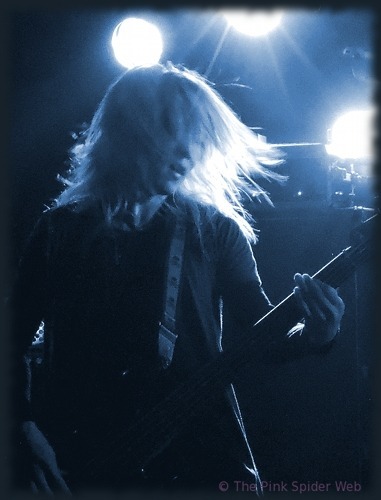 The drummer ‘Ushi’ joined the band fairly recently, I was told after the live, which impressed me even more…in a relatively short time they managed to get him in, on it and with it… that’s good team work! A very important success factor for a band one can assume. Small miracles also happened this June 4th. 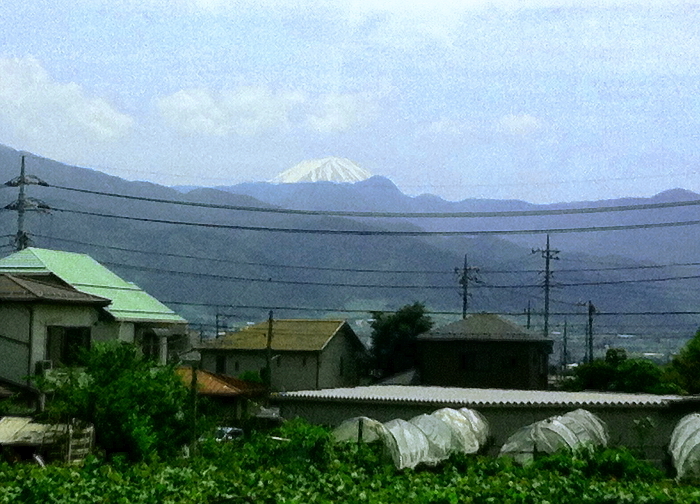 On my way to Nirasaki I glanced out the train window. but THIS DAY was different! This JUNE 4th was a MAGIC day!